Consumers are often offered a credit note upon returning a purchased product to the seller. 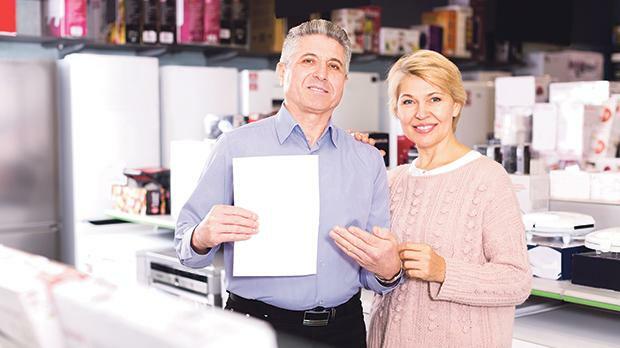 Depending on the reason why they need to return the bought item, the sellers’ offer of a credit note may increase or diminish consumers’ rights. Credit notes diminish consumer rights when offered to consumers for defective products that cannot be repaired or replaced. In such situations consumers are entitled to ask for a money refund which they can eventually use to re-purchase the product from wherever they want. If, however, consumers are given a credit note, they are still tied to buy another product from the same seller and must also observe the terms and conditions tied to the credit note, such as using the credit note within a particular period of time. Hence, it is in the consumers’ best interest to refuse credit notes as a remedy for faulty products and insist on a money refund. If, even though consumers are aware of their legal right to a refund, they are still willing to consider accepting a credit note, they should at least check what limitations this has and make sure that the seller has goods which they may need to buy. Furthermore, consumers should not forget that once a credit note is accepted, then it may not be possible for them to change their mind and ask for a cash refund. Consumers often return goods to sellers after they realise that they have made a wrong buying decision. In such a situation, consumers do not have any legal rights and any possible solution depends on the sellers’ voluntary return policies. In this case, if consumers are offered a credit note, sellers are actually giving them more than what they are legally entitled to. To avail themselves of such a benefit, consumers usually have the responsibility to return any unwanted items by a specific date, unused and with the original packaging. Consumers must bear in mind that if a seller refuses to offer a credit note for an unwanted item, they cannot insist on being given one. Consumers should pay special attention to the credit note’s expiry date and also to whether there are any restrictions on the type of goods that can be purchased with it. Attention must be paid not to lose the credit note because if it is lost, consumers may end up empty-handed.